This particular project is one of my remote, e-design clients. I kept the color palette serene with splashes of saturated color. I also feature a gorgeous mirrored bookcase for photo display, which the client requested after seeing this inspirational blog post. I am really loving this space! For the layout, I have two options that we’re deciding between. The homeowner currently has a television on the floor in the center of the room, but in both of my layouts I suggest moving the TV, either to the corner of the room or to place it above the fireplace. 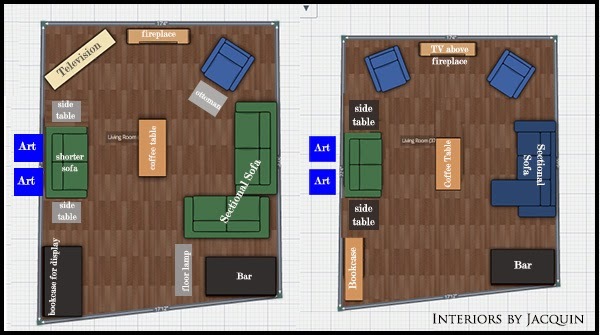 Plan your own room layout with Planner 5D – Floor plans and interior design website! It’s for everyone and a great resource. With the television above the fireplace, there is room to flank the fireplace with matching armchairs, which always has a grand effect. You really can’t go wrong with symmetry! With this fab design, however, I know it will be fantastic either way. The homeowner just loves the design, but is trying to decide which layout will be best. What do you think? 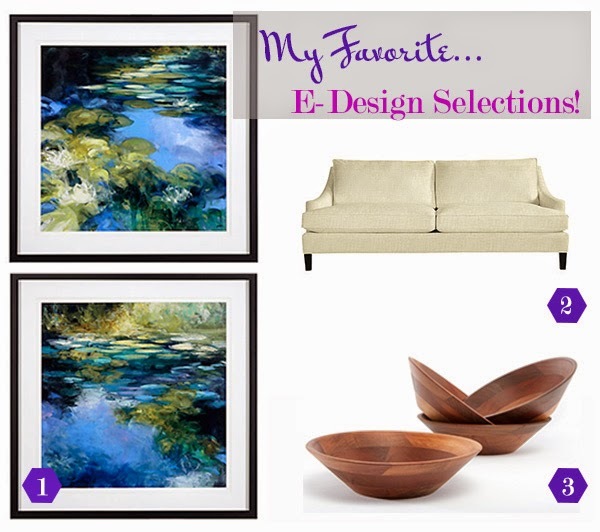 I’ll leave you with three great decorative items from this chic & relaxing design. They will all add a bit of artful character to your home! If you’re located anywhere in the United States I can design a well-styled look for your home, as well! I work within your specific budget to create a design that will both meet your needs and suit your personal style. I’m offering a Summer Special of $150 off e-design services, for a total of $200 per room through August 31, 2015. 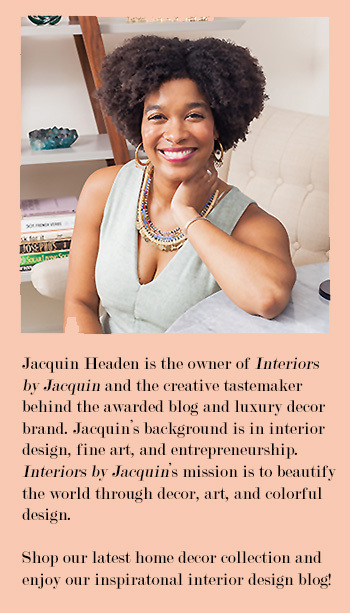 Use the code “JacquinBlogDiscount” at the Interiors by Jacquin shop on Etsy. If you have questions about e-design services or in-home design, please email me with any inquiries. 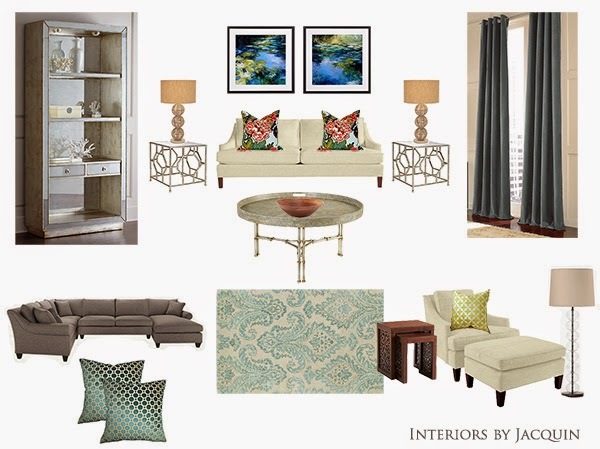 You deserve to truly enjoy your home, so let Interiors by Jacquin transform your space!